The new location of The Beverly Hills Wine Merchant in the Montage Hotel offers thousands of wine SKUs, with a focus on high-end Bordeaux, Burgundy and cult California wines. Luxury spirits round out the store’s upscale lineup. The Beverly Hills Wine Merchant offers thousands of wine SKUs, and Overstreet says the most popular offerings are Bordeaux, Burgundy and cult California wines. “There are a lot of good products out there, but some châteaux and wineries really get it,” he explains. “They’re pursuing legacy rather than just a profit motive. They’re in it for the long term. We’re trying to find those wines and tell their stories. Our responsibility is to make sure that when the wineries hand us the baton, we carry it across the finish line. We want our clientele to know how special this precious liquid is.” Overstreet cites Harlan Estate, Screaming Eagle and first-growth French labels as particularly popular, and he notes that big bottles sell well. “When someone wants to show off their generosity, they bring out a double magnum,” he says. “People like large formats. They’re for special occasions, and they age well. They’re memorable.” The Beverly Hills Wine Merchant offers a wide selection of classified growths in sizes ranging from standard 750-ml. bottles to 18-liter Melchiors. Spirits comprised 19 percent of the store’s sales as recently as 2014, but Overstreet says that share has shrunk as the focus has shifted. “We’re doing at least 90 percent of our sales in wine now,” he explains. “In spirits, we’ve steered into the collectibles, and our selection has moved to the very high end.” Overstreet points to such specialty items as Pappy Van Winkle Bourbon and the Ichiro’s Malt Card series from Japan’s Chichibu distillery. 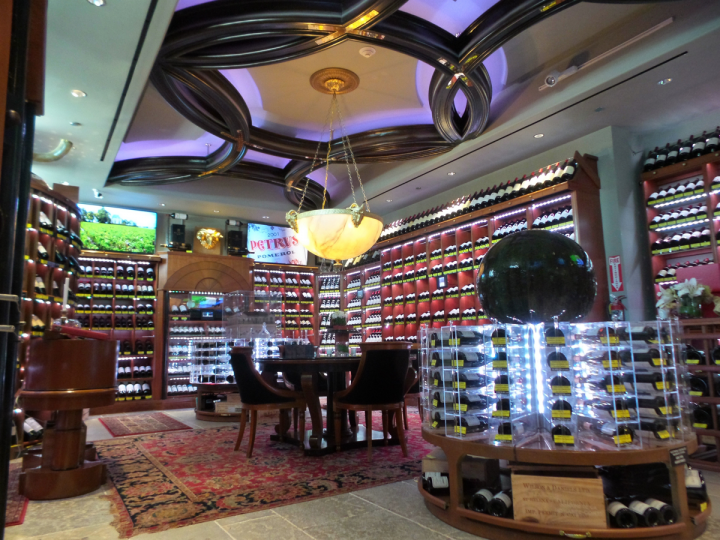 The Beverly Hills Wine Merchant has Enomatic machines to provide wine samples to customers, and Overstreet often hosts intimate gatherings to taste special bottles, inviting up to 12 people to sit at the shop’s round table. “We like to play matchmaker with clients and wine,” he says. “Wine brings out not only the best of the product, but the best in people too.” In addition to its retail store, The Beverly Hills Wine Merchant continues to offer wine storage at its 30,000-square-foot warehouse located a few miles away. The facility also has a gourmet kitchen and dining area where Overstreet hosts walkaround tastings and sit-down dinners.